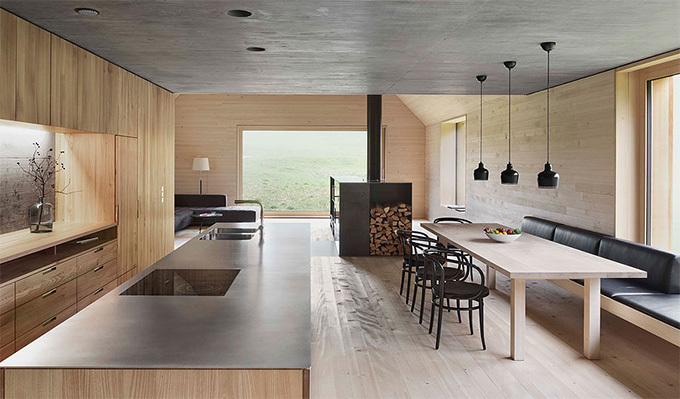 Check out this incredibly minimal and natural house in Austria designed by Bernardo Bader. Images from The Cool Hunter. 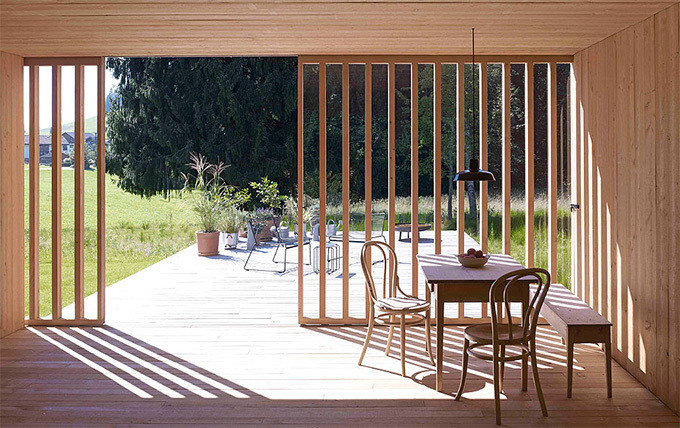 The house has an attached studio and is located in Krumbach in Lower Austria. The entire house is built from local materials. I love the unfinished exterior and the gorgeous , smooth, minimal interior. The house was constructed from 60 trees retrieved from the owners own land. Bricks were constructed from clay dug up near the construction area and air dried on site. The bricks are used for the floor under the wood slats. The entire house is kept warm by the centrally located wood burning oven. Put this on the list of dream homes.